2.5 days a week, ideally 5 half days. Initially for 1 year. We hope to continue the post after this, subject to funding. Friends of the Earth Scotland is looking for an Administrative Asssistant to join our friendly team in Edinburgh. This is a new role, required due to an expansion of staff numbers and organisational activity. 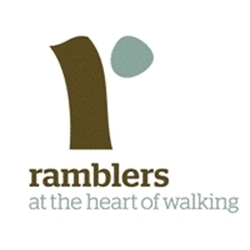 You will work closely with the Membership and Office Manager and the other Administrative Assistant to provide general administrative and financial support and to help look after our members and supporters in Scotland. Additionally, you will provide administrative assistance to the Director and Head of Campaigns, and organise our Board meetings. To apply please go to foe.scot/jobs. Closing date 12 noon Monday 04.03.2019. Please note we do not accept CVs as part of a job application. 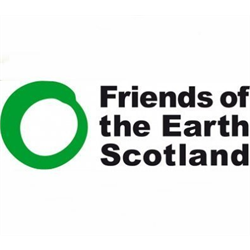 Friends of the Earth Scotland is looking for a Just Transition Campaigner. This is a new campaign role and you will work closely with the Director, Head of Campaigns, and colleagues across campaigns and activism to help deliver our work on just transition. Over the past three years Friends of the Earth Scotland has been key to developing a narrative and advocating for a just transition to a zero carbon economy to deliver on our climate change commitments. The next two years will be critical in helping move this important agenda forward as the Just Transition Commission undertakes its work programme, and the Scottish Government develops plans for a National Investment Bank and a Publicly Owned Energy Company. You will be a strong campaigner, with excellent communication skills and a good knowledge of relevant issues. You will have a naturally collaborative working style, and will thrive in a small, creative team. A good knowledge of the Scottish political and policy context would be a significant advantage. Friends of the Earth Scotland is looking for a Plastics and Circular Economy Campaigner. This is a new campaign role and you will work closely with the Director and the Head of Campaigns to help deliver our work on plastics, waste and the circular economy. In response to the massive public concern over plastic waste we launched our Plastic Free Friday pledge to help people take action on plastic, from reducing the amount they personally use, to lobbying governments and companies to change the system. You will help us do even more, including campaigning for strategic changes to improve the way that materials flow through society. The forthcoming Circular Economy Bill presents a major opportunity to make fundamental changes.